A Quiet Word explains what lobbyism is, how it works and why it can be dangerous for democracy. 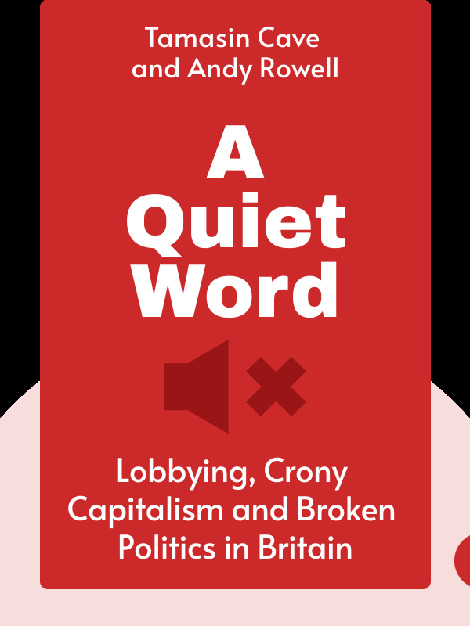 The authors reveal the extent of lobbying today, detail different strategies used by lobbyists to influence governments, and offer a solution to help defend democracy. 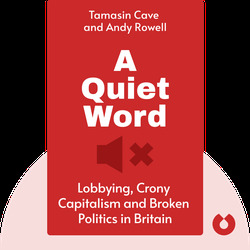 Tamasin Cave and Andy Rowell are directors of Spinwatch, a non-profit organization that raises public awareness about government and business propaganda, and the lack of transparency in the lobbying business.